The Manchester Symphony Orchestra closes its 2014-15 season with “The Nature of the Classics” at the Honeywell Center in Wabash. It is 3 p.m. Sunday, April 26. Tickets for the general public are $10; admission is free for MU students, faculty and staff with ID, and guests 18 years and younger. Each piece has a reference to nature, said Scott Humphries, an assistant professor at Manchester University who conducts the symphony orchestra. 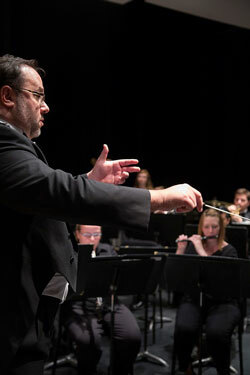 Founded in 1939, the orchestra is a collaboration of professional and community musicians, along with selected MU faculty, staff and student musicians. Activities of the orchestra are supported by the North Manchester Chamber of Commerce, the Economic Development Corporation of Wabash County and the Honeywell Center.